Guests: Marysville singer Jen Moulton (see CMT Karaoke), and Jim Lavoie, publicist. Shut Your Mouth and Open Your Mind: The Rise & Reckless Fall of Lenny Bruce, Chapters 4–5. Looks like I’ll be hopping the big pond (again) in a few weeks . . . with a little travel help from UNB. Going to Sofia, Bulgaria to present a paper and give a poetry reading at “Managing Diversity and Social Cohesion: the Canadian Experience”, the Central European Association for Canadian Studies’ 5th Triennial International Conference. A first: I haven’t been to Bulgaria before though I know one of the organizers and several presenters from a 2005 conference in Niš where I also partied with a Bulgarian theatre troupe. My Balkan adventures continue . 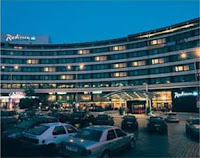 . .
Don’t know how the organizers have done it but conference attendees are being accommodated three nights at the 5-star Radisson Blu Hotel in downtown Sofia, opposite the National Assembly, for less than the hotel’s posted one-night rate. 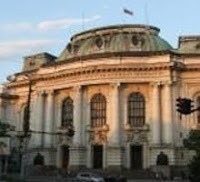 Most of the conference presentations and activities are to happen at Sofia University « St Kliment Ohridski » . . . up to four simultaneous panels. The keynote speakers are Professor Lise Gauvin, Université de Montréal; Professor Thibault Martin, Université du Québec en Outaouais; Professor Keith Banting, Queens University, Kingston; and Professor Chelva Kanaganayakam, University of Toronto. 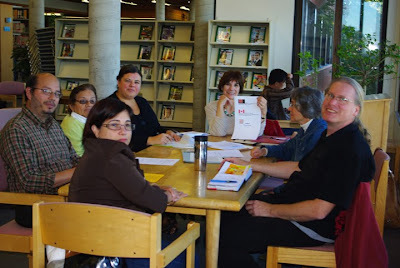 The Foundational Assembly / founding meeting for Capítulo de Fredericton de la Academia Iberoamericana de Poesía / the Fredericton Chapter of the Ibero-American Academy of Poetry took place yesterday, Saturday, 26 September 2009, at 2pm at the Fredericton Public Library, 12 Carleton St. 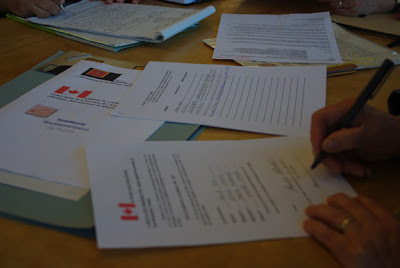 Signing papers and recording minutes of the meeting. Attending the founding meeting in person were: Haydée Sainz, Carlos Morales, Ana Rosales, Sophie Lavoie, Nela Rio, Maria Oancia and Joe Blades. Other founding members participated online. The Academia Iberoamericana de Poesía is an international project, they say “una creación de la” Asociación Prometeo de Poesía, Madrid, España. Other Capítulos/Chapters are in Barcelona, Madrid, and Málaga, España; Cuenca, Ecuador; Jerusalem, Israel; Washington, USA; and Montevideo, Uruguay. Stay tuned for future activities of Capítulo de Fredericton de la Academia Iberoamericana de Poesía. Was awarded a graduate assistantship with a mix of GTA and GRA work. My GTA work to be in/for the Mi'Kmaq Maliseet Institute within the UNB Faculty of Education—the only centre for Aboriginal education studies in the Atlantic region—editing undergrad Aboriginal student-written course units and lesson plans for use in Aborigial classrooms. Big surprise! Learned during Grad Orientation Week that as a Teaching and/or Research Assistant at the University of New Brunswick I am automatically a member of the Union of Graduate Student Workers, University of New Brunswick Fredericton and Saint John, Public Service Alliance of Canada Local 60550. Union card to come. Collective bargaining has been underway since certification. The 2009 Annual General Meeting is scheduled for 5–7 PM, Wednesday, 7 October 2009 in the Alumni Memorial Building, UNB–Fredericton. 24 09 2009 NOTE: Anonymous wrote that I am automatically in the bargaining unit [meaning, Graduate Student Workers] and that I'd still have to sign up to join the union [Union of Graduate Student Workers]. Don't know whose nits they think they're picking but they're not mine [I did sign up; I am awaiting my card, as stated above] Don't you just love anonymous!?! Base camp may be at the foot of the hill but I've been given a desk in an office above the monument's shadow in the valley. In theory I could create my own shadow but not from within the office more akin to groundhog burrow. 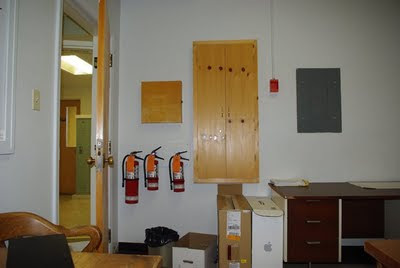 Used to be a janitor's (now called by the euphemism "Facilities Management") room off a stairwell with empty key box and three fire extinguishers, yes, three. Has an overhead, south-facing, curtained window that can't easily be seen out of. 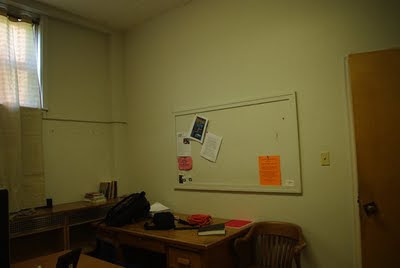 Share it with two other grad students: one is currently teaching full-time @ UPEI (but still "has" a desk here? ); the other uses the office as the video-edit suite for his research work. I need to use extension cords to get electricity to my desk. 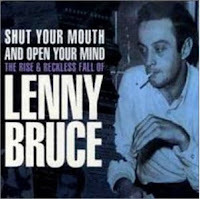 Shut Your Mouth and Open Your Mind: The Rise & Reckless Fall of Lenny Bruce, Chapters 1–3. Kate Reid, "The Cremation of Sam McGee"
Hiliary Peach, "This in the Picture"
Joe Blades, "8°c then 7°c in fog"
Evalyn Parry, "My 'Swedish' 'Roommates'"
To celebrate the International Day of Peace (September 21st, established in 1981 by resolution number 36/67 of the General Assembly of the United Nations), the Fredericton Chapter of the International Ibero-American Academy of Poetry will offer a poetry recital at the Fredericton Public Library, on Saturday, September 26, 2009, from 3pm to 4:30pm. During the recital a minute of silence will be observed. The general public is cordially invited to attend the recital, and to contribute by bringing a poem, in any language, to be read during this celebration for harmony in the world and in families. Samedi 26 septembre, 2009, de 3h a 4h30 de l'après-midi. Pour fêter la Journée Internationale de la Paix (le 21 sept., journée établie en 1981 par la résolution numéro 36/67 de l'Assemblée Générale des Nations Unies), le Chapitre de Fredericton de l'Académie Ibéro-américaine de la Poésie offrira un récital à la Bibliothèque Publique de Fredericton (rue Carleton), le samedi 26 septembre, 2009, de 3h a 4h30 de l'après-midi. Pendant le récital, une minute de silence sera observée. Le public est invité à se joindre au récital et de contribuer en apportant un poème, dans le langage de leur choix, qui sera lu pendant cette célébration de l'harmonie dans le monde et dans les familles. Sábado 26 de septiembre, 2009, de las 15hs. a las 16:30hs. Para celebrar el Día Internacional de la Paz, el 21 de septiembre (establecido en 1981, resolución 36/67, por la Asamblea de las Naciones Unidas), el Capítulo de Fredericton de la Academia Iberoamericana de Poesía celebrará un recital poético en la Biblioteca Pública de Fredericton el sábado 26 de septiembre, 2009, de las 15hs. a las 16:30hs. Durante el recital se hará un minuto de silencio. El público general está invitado a unirse a este evento. Se agradecerá que traigan poemas, en cualquier idioma, para unirse a este evento poético y celebratorio de armonía en el mundo y en la familia. I hope you will be able to join us! / ¡Esperamos que puedan unirse a nosotros! / On espere que vous pourrez vous joindre a nous! If you cannot attend the Celebration, would you like to send me a poema? / Si no puede asistir a la Celebración, podría mandarme un poema? / If not, would you like to send us a poem? he asks & i said yes but . . .
Found today, 15 Sept 2009, in late morning in Rm 145 Marshall d'Avary Hall, UNB–Fredericton. Three photoprints (from jpeg files) found under a stack of education magazines/journals dating back to the mid '80s that I took to the Graduate Student Lounge mini-library. This photo for Christina. 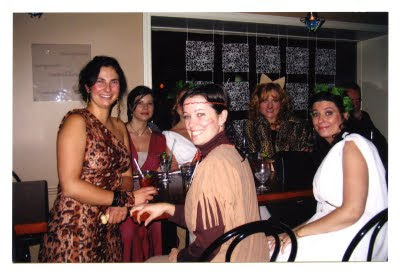 Halloween party some year ... Don't know Christina, but do know Monica in the foreground. Two photos from the same Halloween? 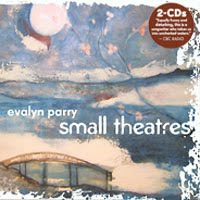 evalyn parry: "14 (for December 6)" & "Once in a Blue Moon"
Random Acts of Poetry, a celebration of poetry and literacy, begins its sixth year during the week of October 5 to 11, 2009. Random Acts of Poetry is a project of the Victoria READ Society, a non-profit literacy organization, established in 1976. Random Acts of Poetry is funded by The Canada Council for the Arts. During the week, 31 acclaimed poets across Canada, from Victoria to Newfoundland, will commit Random Acts of Poetry in their cities and adjacent small towns. On buses and subways, in donut shops and cafes, police stations, grocery stores, shelters, curling rinks, on city streets and country lanes, poets will read poems to strangers and give them their books. Poets will also read their poems in ESL and Adult Literacy classes. In Fredericton, NB, Joe Blades will paticipate for the third year. 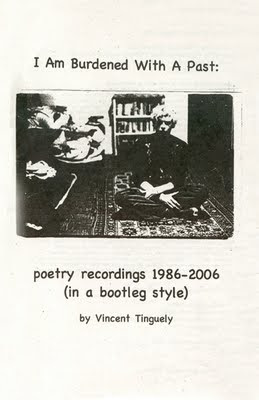 On the editorial board of revue ellipse mag, he is Vice President–Membership Chair of the League of Canadian Poets, producer–host of the Ashes, Paper & Beans community radio program, founding publisher of 25-year-old Broken Jaw Press, and a new grad student at the University of New Brunswick. The author of five published poetry books, including River Suite and from the book that doesn’t close, he has several books in the works, including Casemate Poems (Collected). Two of his books have been translated and published in Serbian editions. 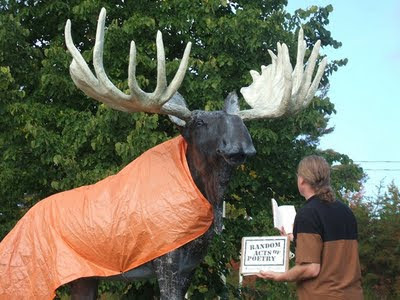 Across Canada poets will commit random acts in: Victoria, Nanaimo, Vancouver, Calgary, Edmonton, Saskatoon, Regina, Winnipeg, Desboro, Toronto, Port Perry, Trenton, Ottawa, Port McNicoll, Windsor, Montreal, Laval, Fredericton, Charlottetown, Wolfville, Halifax, and St. John’s. 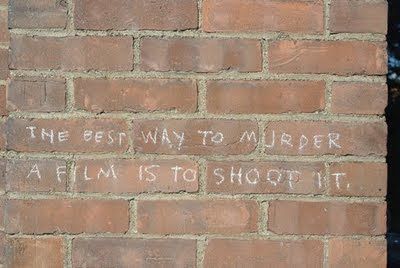 Al Purdy: "At the Quinte Hotel"
Stephen DiLauro: "Homer and the Giant Seaworm"
Monty Python: "Bishop on the Landing"
Seen B4 the opening at The Gallery last week, this disgruntled message is still chalked on the wall of NBCCD. Calgary, Sheri-D Wilson & Russell Broom: "Domesticators"
Montreal, Odessa Thornhill: "I Sold My Wealth"
Montreal, Vincent Tinguely: "Burdened With a Past", "Little Thrill", "Regrets", "The Idea of Prison", "The Perfect Watchword", "No Problemo", Impure Launch promo", "Do You Have Something a Little Less Totalitarian? 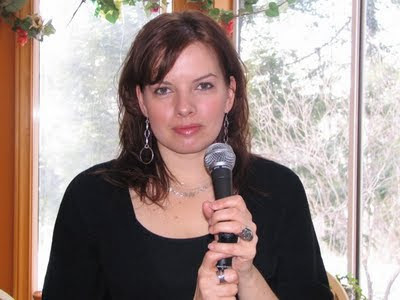 ", "Scarlett", & "Collateral Damage"
Toronto, Zaffi Gousopoulos "Queen of Canada", "Speaking Boontling", "Songbirds", & "Monterey"
Edinburgh: Maggie Jamieson: "Boiling Point", & "Frankly Speaking"